Look who turns 1-year old today! 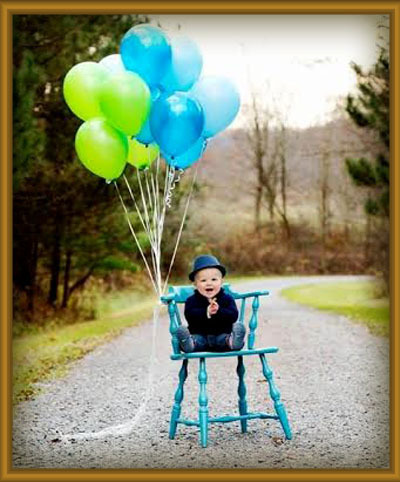 Balloons, cake, ice cream and presents…a little fella could get used to this kind of celebration every year! Little man, I want to wish you a happy first birthday. You have been such a blessing and it’s been so much fun watching you grow and change every day. I’m looking forward to every day with you and that smile! I can’t wait to do more and more daddy-son things. Love you buddy! — Happy Birthday, Dad. It has been a joy to watch you grow over your first year. Thank you for the many smiles you bring us everyday. You are a perfect little boy, a true blessing in our lives. I love you, monster! — Mommy.